What do you think about Africa and an African Safari? For some it is a land of abundant wilds, for some picturesque landscape, and for others it is the mountains and seas that make Africa great. But in our view Africa is a land of “Motion”. It might be hard for the readers to understand what actually the word “Motion” does mean? Let me clarify. The real African beauty lies with its wildlife. A gazelle in Africa knows that he would have to run faster than a lion, otherwise he would die, and the lion knows that he would have to overpower the gazelle, otherwise he would starve. So the motion is the ultimate way of survival. This motion of Africa is the most spectacular thing that attracts the attention of thousands of international travelers to visit this land. In the real sense this sensational motion of the African animals Keeps Africa and Africans alive. 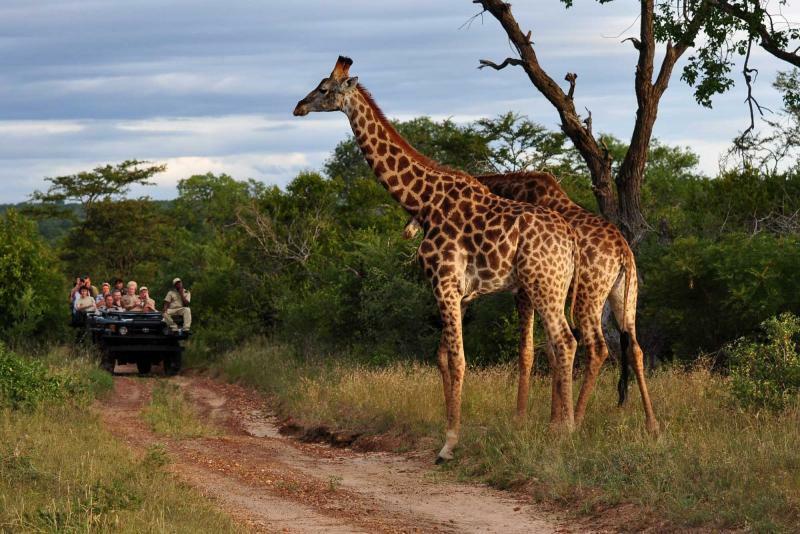 Top 7 Things To Do In An African Safari. · Go to a tented camp at Ngorongoro Crater. Home to leopard, buffalo and elephant, the Highlands strikes a perfect balance between a true wilderness experience and a high-style, contemporary escape. A visit to local communities to catch a glimpse into the traditional Maasai way of life is enthralling. · Plan for Serengeti the prime safari destination for all travelers who want to see the most spectacular event of the world, “The Serengeti migration”. Getting to see around two millions of them hoofing for fresh pasture and water in the same direction is an awesome experience. The hunting of river crossing animals at Mara River is another spectacle of this 7th wonder. · A face-to-face encounter with the endangered great apes in their natural habitats is a truly amazing experience. Although they are the closest living relatives yet their very existence is under serious threat. If they are not saved, perhaps we would be the last generation to see the Gorillas in action under African Bushes. · Watching the dawn break as you glide in silence over the vast wilderness areas of the Mara, Northern Serengeti and Central Serengeti is an unforgettable luxury .You would have a bird’s-eye view of the teeming plains, as sunrise blends the wildlife below into action. · Visit to the spicy island, sits on Indian Ocean Coast. Zanzibar and the coastal areas of Kenya and Tanzania are a different world. The blending of bright lights and color of the tropics with the sparkling blue water of the Indian Ocean are always the right places to chill after the exploration of wilds. Experience the rich and world-class marine life and abundant coral reefs, diving and snorkeling here. · Celebrate your highest spirit standing at 5 895 meters on Kilimanjaro top, known as the roof of Africa. Feel the beauty of the different vegetations, flora and fauna and wildlife, while passing through different zones. Relaxed on the snow capped top and cool yourself. It is a lifetime experience. · Head for Maasai Mara, a natural extension of the Serengeti plains of Tanzania. Together they make up the Serengeti-Mara ecosystem, one of the oldest, most complex and least disturbed ecosystems on Earth, with the Mara River its lifeblood. The game between prey and predator while crossing the Mara River during Migration is the spectacle to watch. If you just want to explore this typical Africa during your African Safari: a continent with vast rolling plains stretching as far as the eye can see dotted with various animals, then contact us, the SAFARI DMC, an East Africa inbound Tour Operator, an authentic one stop shop for all your #African #Wildlife #Safaris, #Adventure, #Culture and #Leisure #Tours and #Holidays; #Meetings, #Incentives, #Conferences, #Events and #Logistics needs in Africa. We operate in Kenya, Ethiopia, Uganda, Rwanda, Burundi and Tanzania. Best known for our for our world class services, we are the No.1 choice of the world visitors. Our credibility lies with the thousands of reviews that our customers have left, in favor of our hospitality and service. Just drop us a mail before you plan to visit and we would mesmerize you with our service.